Not all of us can afford a new Mustang. So lets look at used Mustangs and what to look for when buying or selling Mustang. Used Ford Mustangscan be a very good deal. Did you know that a new car can drop up to 30% in value the moment it leaves the lot? Yep. Even with low mileage, it instantly becomes a used car and that means devaluation. Finding a used mustange is not difficult, but finding a good used car sometimes can be. For the nuts and bolts of searching out what to look for, Shawn Low has a great article about Buying a Classic Mustang. Before you head out to the car lot or check Craigslist, it's important to write down exactly what features, mileage and in the case of the iconic pony car, which generation appeals to you. 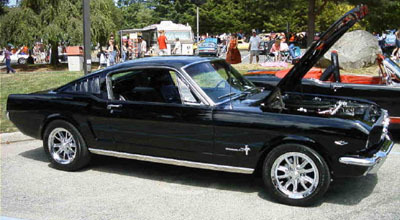 The first generation Mustangs were those produced from 1964 through 1973. These are usually referred to, as classic mustangs. These early cars command good prices and are highly sought after by enthusiasts everywhere. That's too much info for one page, so here's a link to all the information in the classic Mustang sections. The second generation cars are the model years between 1974 and 1978 and are known by most as a Mustang ll. Although the Mustang 11 cars are not as highly prized as the classic first gen cars, they make good affordable used Mustangs and a great first entry into the world of mustangs. While many were passed over initially by enthusiasts and hot rodders due to what mid 1970's emissions laws did to power levels, they are making a comeback now and speed parts have solved the horsepower issue. Great budget drag cars,due to the small size and light weight. Here's the link to the Mustang ll section. 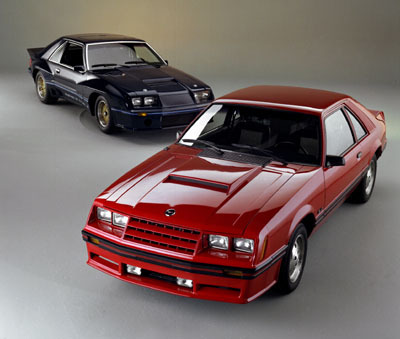 Some of the most popular used pony cars ever, are the third generation Fox body Mustangs. Named after the Fox body platform, these cars are plentiful, light and speed parts abound to make these cars drag strip kings! The model years of the Fox body cars range form 1979 to 1993. Used Ford Mustang pricing from these years can vary widely, from a few hundred dollars to several thousands of dollars for modded cars with high horsepower, competition chassis, lowering and even superchargers! Here's a link to more information on the third gen cars. 1994 to 2004 marked the fourth generation Mustang. A great many changes occurred during the fourth generation. A new chassis, and styling to modernize the Mustang came about and in 1996, the famed 5.0 liter Mustang V8 received a new "modular" V8. These cars have a very tight, modern feel and completely redesigned interiors. They also have become very popular with tuners and respond well to new age electronic mods and tunes. Prices range for these cars, yet production was high, so finding the right used car doesn't have to be a nightmare. Here's the link to the fourth generation Mustangs. The Fifth Generation or "new Mustangs" began production in the 2005 model year and the incarnation continues into the 2011 Mustang. This crisp new body style and completely new chassis borrows its good looks from styling cues from the late 60's and early 70's first gen Mustangs. The 2005 Mustang GT broke new ground, with its 300 horsepower V8 and with a strong performing new V6 producing 210 horsepower. These new Mustangs have now been around enough and in hight enough production to be great choices if you are looking for used Mustangs. Styling in the new Mustangs has been a gradual evolution as has power output for the V8 equipped cars. One of the great things about these 5th gen cars, is the amount of "specials" you can find, such as the California special, Bullitt, Mustang Club of America edition and more. Here's a link to all the information on these fifth generation New Mustang cars. 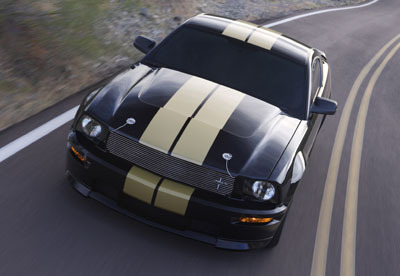 Are Used Mustangs in your future? Hopefully this gives you a place to start in your quest for the right Ford Mustang for you. Which ever one you choose, you'll join a league of Mustang enthusiasts who share your passion for the world's best car! Return from used Mustangs to Ford Mustang Home.